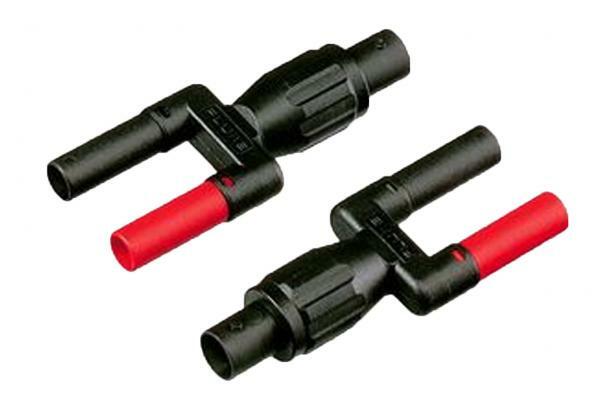 PM9081/001 consists of two adapters. One red (signal) and one black (ground) 4-mm banana contact. Converts test equipment with BNC plug into banana plugs for use with digital multimeters.